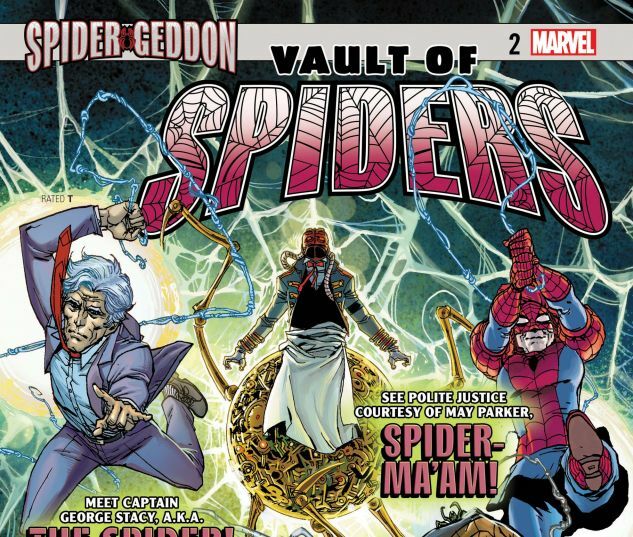 A SPIDER-GEDDON TIE-IN! 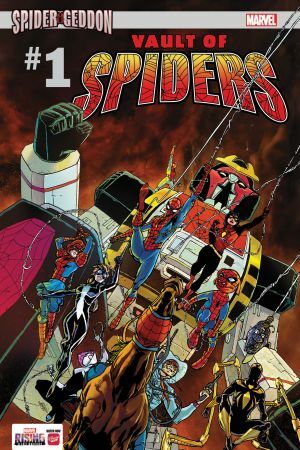 We’re way past first blood—the Spider-Army needs new recruits! No one’s too weird to die for — er — serve the cause! 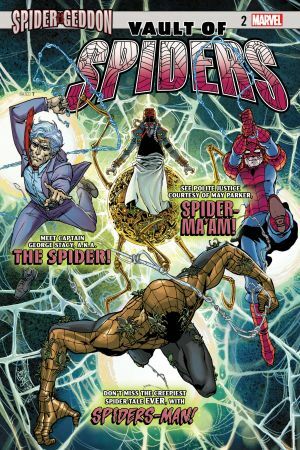 Ryan North joins the cause with an incredible story starring SPIDER-MA’AM, a spider-powered Aunt May with Dave Williams (UNCANNY X-FORCE) on art! CULLEN BUNN (X-MEN BLUE) and TBA bring you a tale of a nightmare world where monsters roam the streets and a SPIDER-MAN strange enough to call it home! You will NEVER guess who’s under the mask! 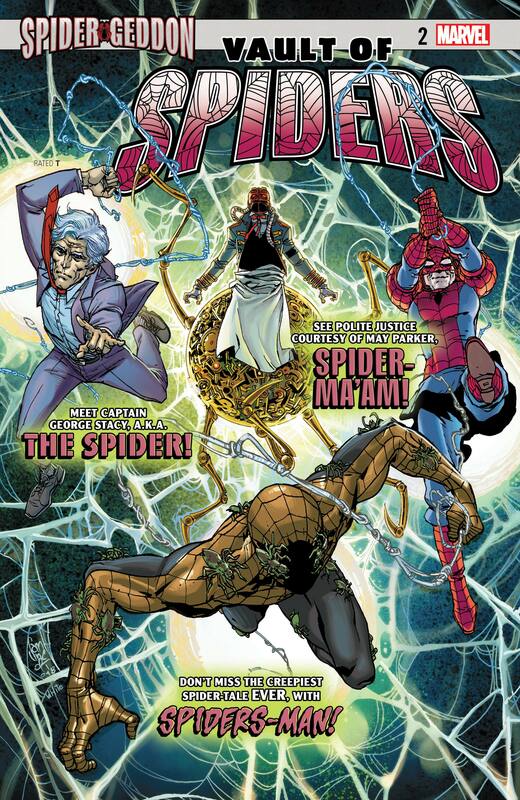 Geoffrey Thorne brings an all new Spider-Character to the table, with a Spider-Powered Captain Stacy! Police Officer by day, vigilante by night in a way you’ve never seen before!